Mario Martino followed a Physical program in Sciences and in Mathematics at the University STATALE of Milan. After a successful career as a Financial Advisor, he joined Palladium Group in Paris in the late 1970s. In parallel, in the 1980s, he completes his financier’s training to H.E.C. and to the ESSEC. At the request of the shareholders, he undertakes a long and rigorous process of analysis, updating and restructuring of the accounting methods, and the management of the data processing. At the beginning of 1990s, he will play an active role in the reorganization, the grouping and the fusions within the group. From 1991 till 1998 he occupies the functions of Financial and Administrative Manager. Since 1998, Mario Martino is appointed to the Direction of Palladium France. University Graduate (E.N.S.M & C.E.S.I), real estate management certificates (PONTS & CHAUSSEES, Paris), health and safety certificates (ESTP, Paris). Olivier Thébault started his career with the EIFFAGE GROUP as a construction supervisor on internationals projects. He joined S.M.E in 1993 where he was appointed Director-Technical Operations. His missions include the identification and structuration of projects, and their technical management. He is also responsible for the technical maintenance of Palladium real estate portfolio France. Jurist by training, he made the majority of his career within the Crédit Agricole Bank with for main mission the study and the financing of real estate projects with the aim of their financing by the bank. In 2000 Thierry de Viville joined Palladium Group as a Legal Consultant. Involved in the realization and in the follow-up of the banking files, he is also in charge of the follow-up of the legal and financial questions related to the activities of Omnium Real Estate Services. University graduate in Economic Sciences (Belgium). He is involved, since 1994, in the development of Palladium France and Palladium Belgium. Between 2001 and 2008, as Director of the Promotion, he assured the project ownership of 600 apartments, (250 in the South of France, Var, and 350 in Brussels). Since 2009, helped by a team of 20 people, he assures the asset management of Palladium France Paris and in Île de France area. After a career as a building inspector, Pierre Yves Neff used his experience to create a successful agency particularly active in condominium management in Southern France. This agency became a part of the Palladium Group in 2007. Accountant graduate (D.E.S.C.F) Hubert Gueyraud begins his career within the group Duhamel-Khan where he assumes from 1989 till 1995 several functions in the field of the audit. Hubert Gueyraud joins Palladium Group in 1996. Pascal Ernstberger is a trained accountant who first worked for the real estate group SERTI, and then joined the Treasurer’s office of Ralston Purina where he worked for seven years. He joined Palladium France in 1997, and is currently in charge of the treasurer’s function for the Group in France. Dalia Fattorosi joined Palladium France in 1985 to supervise all personnel management activities of the Palladium Group in France. Antonio Lanni developed his professional career in the banking domain where he occupied several executive positions connected to the financing of companies. Then he was General Secretary of a group in the field of the food-processing industry with for mandate the optimization of the financing of the various industrial sites. He intervenes today, within Palladium Group, as consultant in the banking domain; more particularly in the research for financing of real estate projects. His main missions are directed to the assembly of files of financing and mortgage refinancing. Sergio Canziani undertakes consulting assignments in areas related to the technical and economic feasibility of real estate and construction projects. Former member of the Palladium Group G.E.I.E. Management Board, he held for many years the position of Group Technical Director overseeing the construction of the Group’s projects in Europe. Sergio Canziani is a civil engineer graduated from the Politecnico di Milano. 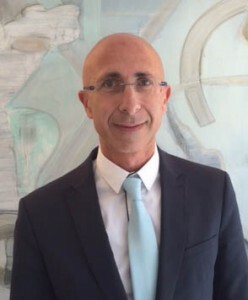 With legal training and commercial temperament, Patrick SAYAQUE, Manager of the OMNIUM agencies in the South of France, manages about thirty employees and sales agents around the traditional activities such as: sales, rental management and the professional trustee.